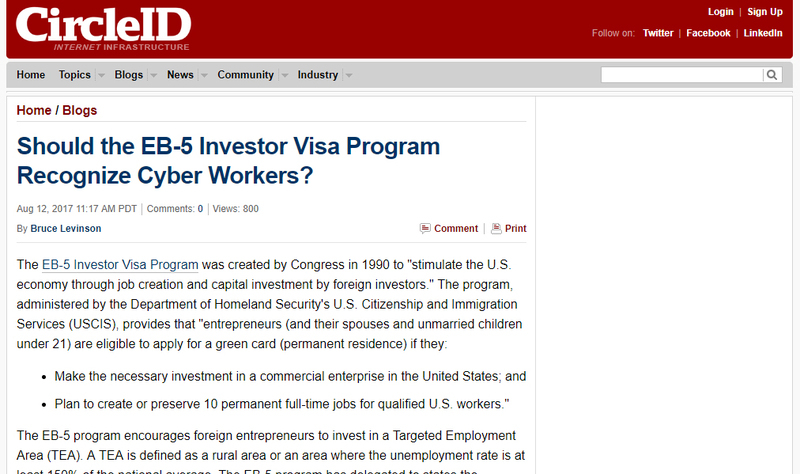 Should the EB-5 Investor Visa Program Recognize Cyber Workers? The EB-5 program encourages foreign entrepreneurs to invest in a Targeted Employment Area (TEA). A TEA is defined as a rural area or an area where the unemployment rate is at least 150% of the national average. The EB-5 program has delegated to states the authority to designate various TEAs on a project-specific basis. By locating a commercial enterprise in a state-designated TEA, foreign investors sharply reduce the size of investment that is needed to qualify for a green card.